PM Netanyahu leads delegation of ministers to Czech Republic, says the Czech Republic is Israel’s best friend in Europe. 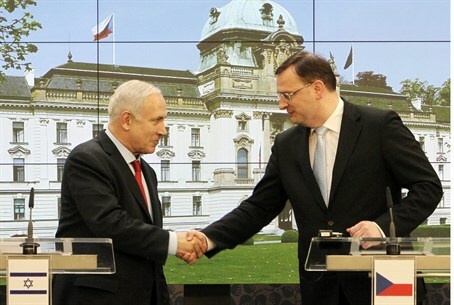 Prime Minister Binyamin Netanyahu said on Thursday that the Czech Republic was Israel’s best friend in Europe. Netanyahu added, “I think it’s because there’s no place in Europe where Israel’s challenges are better understood. The Czech people understand what it’s like to be a beleaguered democracy in a hostile region. Netanyahu led a delegate of six ministers to the Czech Republic and during the meetings, deals between the two countries were signed on diplomatic, security, commercial and tourist cooperation.